‘A Legend Lives On’ Show with Special Guests the MMRHS Jazz Ensemble All Stars! 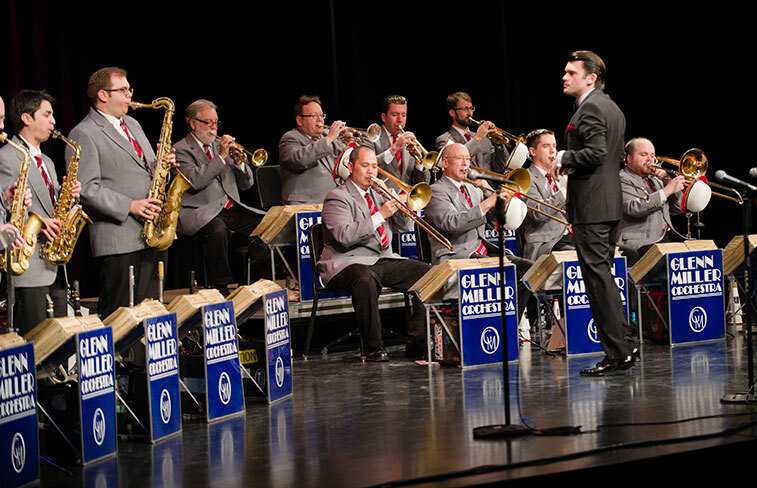 The world famous Glenn Miller Orchestra swings into Great Barrington Thursday July 20 for one performance only. Hear the world famous music up close and personal in the acoustically superb Kathleen McDermott Auditorium at Monument Mountain Regional High School. Special Guests MMRHS Jazz Band All Stars open the show with their own sensational swing sounds. The performance includes Maria Schafer as vocalist. Her consummate swing feel, affection for Brazilian music, and penchant for putting a twist on pop tunes give her a widely-varied songbook. 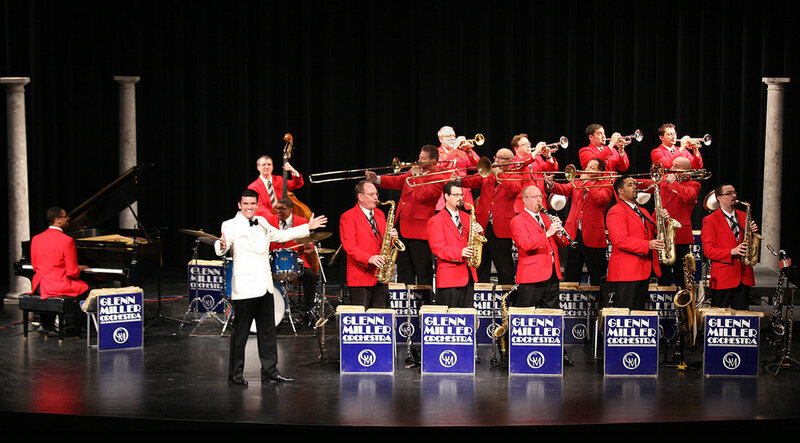 Selections to be performed from the world-renowned Glenn Miller Orchestra repertoire include Moonlight Serenade, Little Brown Jug, A String of Pearls, In The Mood, Bugle Call Rag, Chattanooga Choo-Choo, I’ve Got a Gal in Kalamazoo and more. 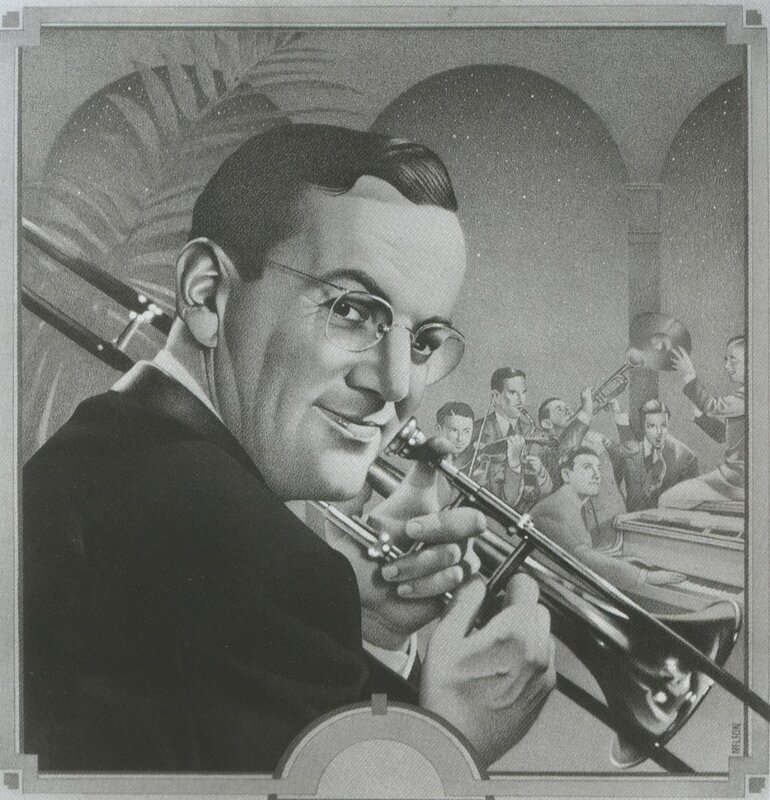 Did you know…the first Glenn Miller Orchestra did not make it at all…but Glenn knew what he wanted, held to that dedication and relentlessly worked to succeed. He launched his second band – the one that lives on today – in March 1938. The Glenn Miller Orchestra has been a “hit” ever since.